Mariology | ADULT CATECHESIS & CHRISTIAN RELIGIOUS LITERACY IN THE ROMAN CATHOLIC TRADITION: hosting ONLY True Christians!! !, or "How to think Catholic!!" I completed my RCIA classes. I had finally procured a new pastor for My Father’s House. But when the Easter Vigil was a week away, I was still waiting for an annulment of the marriage to my first husband, whom I had divorced 40 years prior. I received on Monday the call saying that it was granted, and I fully expected to enter the church that Saturday night. 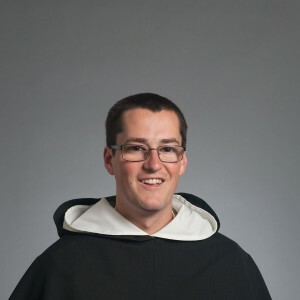 However, Father Jim (who was serving in his first pastorate), didn’t quite know what to do with me, since he was waiting for the bishop’s instruction. There was an unresolved question of whether, as the former pastor of an Evangelical church, I needed to completely disassociate myself from that congregation — whose church building is located on the small farm where I live. Since no answer was forthcoming, I was sorely disappointed not to be permitted to enter the Catholic Church at the 2017 Easter Vigil. It was then that I contacted the Coming Home Network, asking for assistance. Jim Anderson, a pastoral care coordinator, reviewed my situation and said he believed that, as long as the congregation knew I was no longer the pastor, and I refrained from participating in the communion there, he knew of no rule against a former pastor continuing to attend his or her prior church, especially if the ex-pastor’s spouse still attended there. I then wrote a letter to the bishop, stating my cause, and asking him to please allow Father Jim to bring me into the Church. But there was no response. Time passed, and I grew despondent, feeling rejected and crushed. Never had I wanted anything more in my life, and I felt the blessing was torn from me at the last minute. I stopped attending Mass. After two months, I contacted Jim Anderson again, and he suggested that I see another priest for a second opinion. At the end of August, I met with Father Bernie at Holy Cross Catholic parish in Palmetto, FL. He was a seasoned priest and agreed with Jim Anderson’s assessment. He was happy to baptize me (as I had no certificates, photos, or other first-hand proof of my baptism as a baby), and on October 6, 2017, at the Mass of Our Lady of the Rosary, I was baptized into the Catholic Church and received the Eucharist for the first time. I was content to wait for the 2018 Easter Vigil to be confirmed. I regard both events as the two most important days of my life. Unfortunately, my husband, by now quite upset that I continued to be serious about entering the Catholic Church, refused to be present at either event. 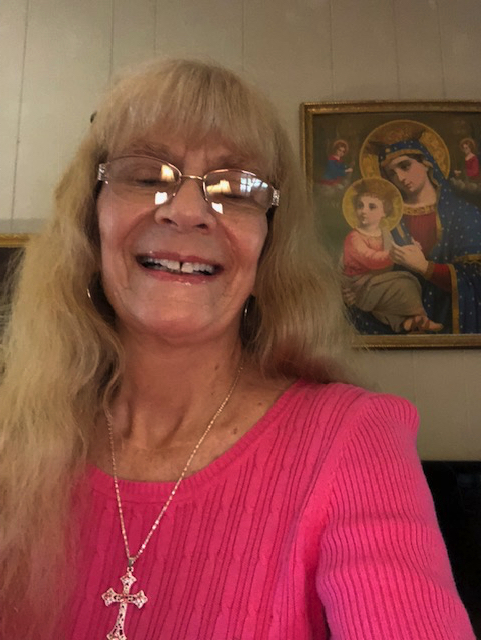 On October 6, 2018, again on the day of Our Lady of the Rosary, I returned to my initial Catholic parish, St. Frances Cabrini in Parrish, FL, and the first priest I had ever met, Father Jim. That is where I currently attend. My journey is ongoing, and not without heartache, family upheaval, and occasionally wavering faith. But my Catholic family continually upholds me in prayer. 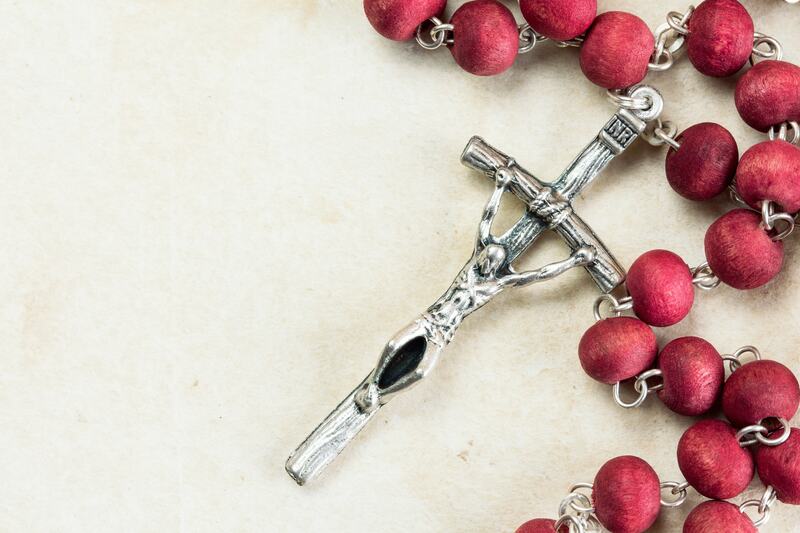 Some of my sisters in the Legion of Mary have been my strongest lifeline in the face of unexpected and emotionally painful trials, which threatened to derail me from following my new Catholic Faith. But there is absolutely no turning back. When Jesus calls — or sends Mary to bring someone to where He wants that person to be — truly, how can we refuse to go? “On Christmas day 2016, after the morning service, our worship leader pulled me aside to let me know that he was very unhappy with the new statue of Mary. I already had angel statues surrounding the chapel, but Mary was just too much for him. He asked, “What kind of church are we?” “We’re non-denominational evangelical,” I replied. “But are we Catholic now? If I thought this was a Catholic church, I never would have come here. I’ll give you two weeks’ notice to find another music leader if we leave.” Wow! I never saw this coming. “You’re not free,” I replied, “You’re in Pentecostal legalism.” The meaning was completely lost on her, but her husband smiled and nodded. What shocked me most was that this lady was one of the parents who had provided permission to give her children rosaries. And she had asked me for an NAB Bible for herself when I handed them out to the youth. 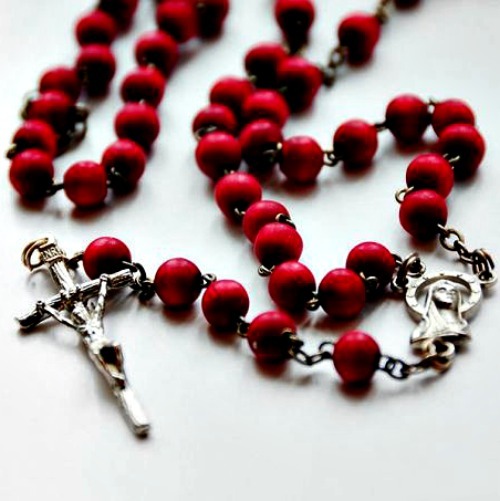 Now, suddenly, rosaries were evil and the statue of Mary a forbidden idol. After they drove off, I went into the house, called my prior worship leader, and he was available and happy to come back and take over. The following Sunday was New Year’s day 2017, and our prior worship leader was leading the music. And just like that, five people who had been with the church for nine years (the parents and three kids) were gone. My youth leader was devastated, as she was very attached to all of the children. “I was Catholic as a child, and even wanted to become a nun. But my priest said I should go to college.” “But what happened to you that caused you to leave the Catholic Church?” I asked. “It’s a long story,” she said. But I never got to hear it; within months, she, her husband and their three children left the church. Between these two families, a fifth of our tiny congregation was gone — over my beautiful Mary statue. Several people suggested I move it, or hide it on Sunday morning under a bag. But I reasoned, “It’s in front of the house, not the chapel. If the parishioners use the walkway that goes directly to the chapel, they wouldn’t even see her.” Yet the suggestions continued, and the youth leader (also an ex-Catholic) admonished that I should have submitted the rosaries, NAB Bibles and statue of Mary to the church council for a vote before implementing them. 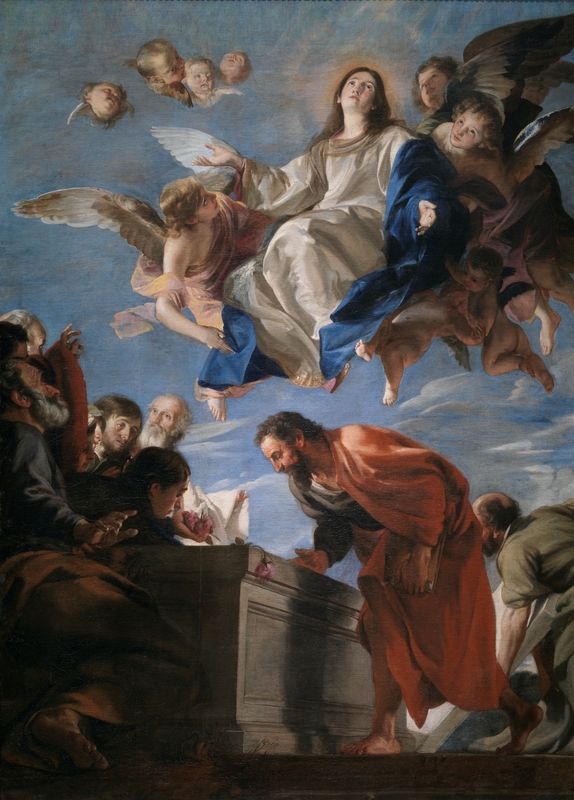 The doctrine of the Assumption of the Blessed Virgin Mary into Heaven, body & soul, implicitly taught in the liturgy since at least the sixth century AD and explicitly taught by the ordinary magisterium of the Church since that time, was solemnly defined as a dogma of faith in 1950 by Pope Pius XII, the ONLY time the doctrine of papal infallibility has been invoked since it was dogmatically defined. “Sooner or later, my body will become a corpse. A corpse looks alien. It’s both strangely familiar (so clearly my body), yet utterly unrecognizable (so clearly not me), putting on display the jarring indignity of death, the separation of my soul from my body—the fundamental elements that constitute me as a human person. Death dissolves the integration of my human identity, separating (in a sense) me from myself. The cold truth about being mortal is that, sooner or later, we all suffer the disfigurement of death. All of us except one, who, “when the course of her earthly life was finished, was taken up body and soul into heavenly glory, and exalted by the Lord as Queen over all things, so that she might be the more fully conformed to her Son, the Lord of lords and conqueror of sin and death” (Catechism of the Catholic Church, 966). Death could not defile Mary because she was so closely united, in the core of her identity, to her Son, the very Source of Life. 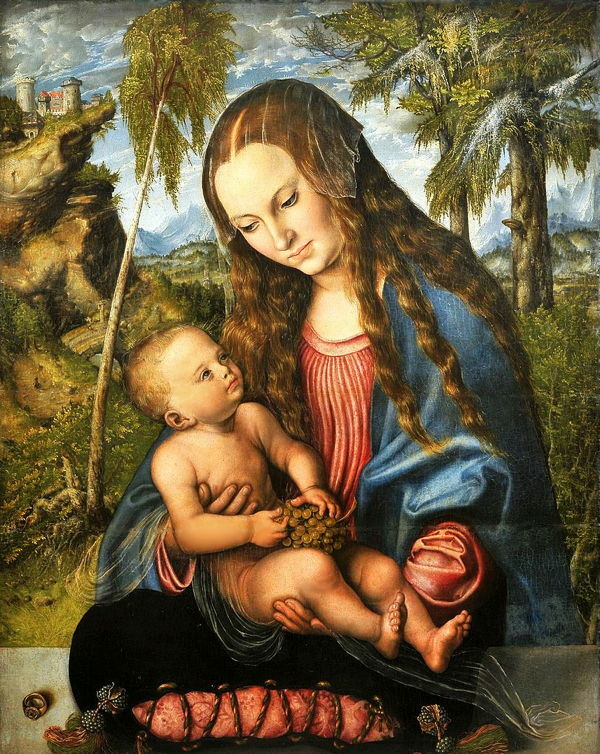 While she gave her own physical likeness to Jesus, Mary was deeply conformed to Him as one made in the Divine Image. She defined her very identity by this conformity: “Behold, I am the handmaid of the Lord. Let it be done unto me according to thy word” (Lk. 1:38). Through her union with the Divine Word, Mary’s heart and soul magnified the glory of the Lord. She was full of grace, full of Divine Life, which is to say that she was full of Divine Love—the Love that the deep waters of death cannot quench (cf. Song of Songs 8:6-7). Because of this, when she came to the end of her earthly life, she crossed over those waters of death undefiled to the core of her being, with the harmonious union of her body and soul intact. Mary’s assumption into heaven teaches us what it means to be fully alive, truly ourselves, immune to death’s sting, immortal. The true life is the life of grace, our participation in the Divine Life of God, into which we are initiated and in which we are sustained through the Sacraments. When we lose this Divine Life through sin we become spiritual corpses—alienated from our true selves, unrecognizable, disfigured. The Sacraments incorporate us into the resurrection of Christ, raising our spiritual corpses from the dead and making us participants in the undying life of God. Presence of God – O Mary, Mother of fair love, teach me the secret of steady growth in charity. “O Mary, you understood the gift of God; you never lost a particle of it. You were so pure, so luminous, that you seemed to be light itself: Speculum justitiae, mirror of justice. Your life was so simple, so lost in God, that there is scarcely anything to say about it. Virgo fidelis: the faithful Virgin, ‘who kept all things in her heart’.” (Blessed Elisabeth of the Trinity First Retreat (Heaven in Faith) 10). O Mary, how marvelous to see your soul continually growing in love, to watch it scale the heights of sanctity without ever halting! Nothing retarded the divine action in you; no obstacle hindered the growth of charity. “Who is this that cometh up from the desert, flowing with delights, leaning upon her Beloved?” (Canticle of Canticles [Song of Songs] 8:5). It is you, O Mother, you who, under the guidance of the Holy Spirit and sustained by Him, ever rose from grace to grace, from virtue to virtue. O Mother of fair love, full of grace, O faithful Virgin, help me to correspond with fidelity to the gifts of God! Do not permit that my misery render sterile the grace within me. Help me, O Mother, to overcome the innumerable resistances of my weak, cowardly nature; draw me by the sweet charm of your example, so that I may follow you with ardor in the way of perfect charity. “O my Mother, you who were ever on fire with love for God, give me at least a spark of that love. You appealed to your Son on behalf of the bride and bridegroom whose wine gave out, saying: ‘vinum non habent,’ they have no wine; and will you not pray for me, lacking as I am in love for God, and yet owing Him so much? Say to Him: ‘amorem non habet,’ he has no love. And ask this love for me. No other grace do I ask of you but this one. O Mother, by your love for Jesus, hear me. Show me what great favor you have with Him by obtaining for me a divine light and a divine flame so powerful that it will transform me from a sinner into a saint, and, detaching me from every earthly affection, will inflame me wholly with divine love. O Mary, you have the power to do this. Do it for love of the God who made you so great, so powerful, and so merciful” (St. Alphonsus). 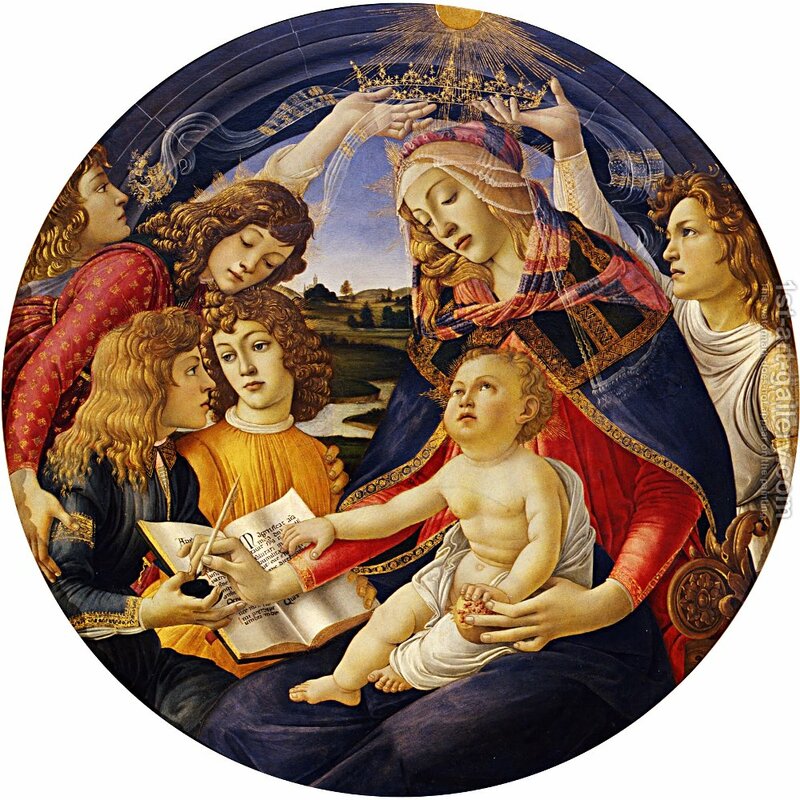 -Madonna of the Magnificat, Sandro Botticelli, 1481, Tempera, 118 cm × 119 cm (46 in × 47 in), Uffizi, Florence, please click on the image for greater detail. “Presence of God – O Mary, Mother of Good Hope, teach me the way of complete confidence in God. In the Magnificat, the canticle which burst forth from Mary’s heart when she visited her cousin Elizabeth, we find an expression which specially reveals Mary’s interior attitude. “My soul doth magnify the Lord … because He hath regarded the humility of His handmaid” (Luke 1:46-48). 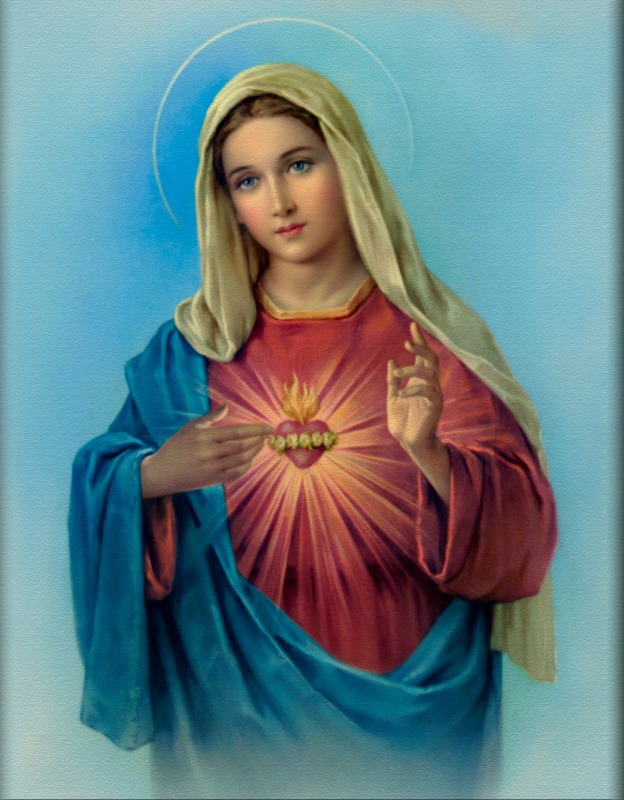 When Mary spoke these words, they revealed the “great things” which God had done in her; but, considered in the framework of her life, they expressed the continual movement of her heart, which, in the full awareness of her nothingness, would turn always to God with the most absolute hope and trust in His aid. No one had a more concrete, practical knowledge of her nothingness than Mary; she understood well that her whole being, natural as well as supernatural, would be annihilated if God did not sustain her at every moment. She knew that whatever she was and had, in no way belonged to her, but came from God, and was the pure gift of His liberality. Her great mission and the marvelous privileges which she had received from the Most High did not prevent her from seeing and feeling her “lowliness.” But far from disconcerting or discouraging her in any way—as the realization of our nothingness and wretchedness often does to us—her humility served as a starting point from which she darted to God with stronger hope. The greater the knowledge of her nothingness and weakness became, the higher her soul mounted in hope. That is why, being really poor in spirit, she did not trust in her own resources, ability, or merits, but put all her confidence in God alone. And God, who “sends the rich away empty, and fills the hungry with good things” (cf. Luke 1:53), satisfied her “hunger” and fulfilled her hopes, not only by showering His gifts on her, but by giving Himself to her in all His plenitude. “O Mother of holy love, our life, our refuge, and our hope, you well know that your Son Jesus, not satisfied with being our perpetual advocate with the eternal Father, has willed that you also, should implore divine mercy for us. I turn to you, then, hope of the unfortunate, hoping by the merits of Jesus and by your intercession, to obtain eternal salvation. My confidence is so great, that, if I had my salvation in my own hands, I should yet place it in yours, for I trust in your merciful protection more than I do in my own works. O my Mother and my hope, do not abandon me! The pity you have for sinners and your power with God are greater than the number and the malice of my faults. If all should forget me, do not you forget me, Mother of the omnipotent God. Say to God that I am your child and that you protect me, and I shall be saved. “Do not look for any virtue or merit in me, my Mother; look only at the confidence I place in you and my desire to improve. Look at all that Jesus has done and suffered for me and then abandon me, if you have the heart to do so. I offer you all the sufferings of His life: the cold He endured in the stable, His journey to Egypt, the Blood He shed, His poverty, His sweat, His sadness and the death He endured for love of me in your presence, and do you, for the love of Jesus, pledge yourself to help me. O my Mother, do not refuse your pity to one for whom Jesus did not refuse His Blood! 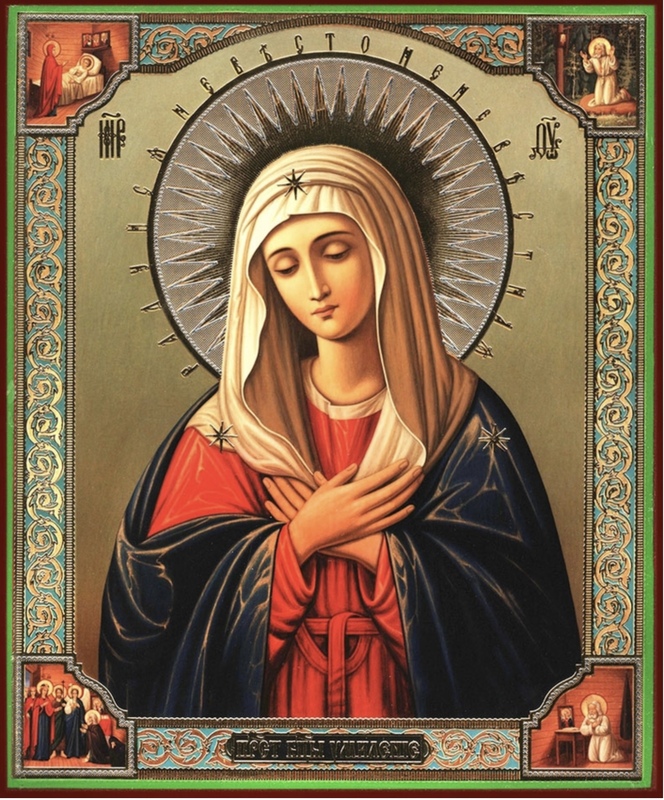 “O Mary, I put my trust in you; in this hope I live and in this hope I long to die, saying over and over: ‘Unica spes mea Jesus, et post Jesum virgo Maria,’ My only hope is Jesus, and after Jesus, Mary” (-Saint Alphonsus). “Presence of God – O my Mother, show me how to have firm faith in God and how to entrust myself entirely to Him. The Blessed Virgin teaches us to believe in our vocation to sanctity, to divine intimacy. We did believe in it when God revealed it to us in the brightness of interior light, and the words of His minister confirmed it; but we should also believe in it when we find ourselves alone, in darkness, amid difficulties that tend to disturb and discourage us. God is faithful, and He does not do things by halves: He will finish His work in us, provided we have complete confidence in Him. “O Mary, overshadow me and I shall be calm and confident. Accompany me on my way and lead me by secret paths. I shall not be spared suffering, but you will arouse in me a real hunger for it, as for an indispensable food. Mary! Your name is sweet as honey and balm to my lips. Hail, Mary! who can resist you? Who can be lost if he says, ‘Hail, Mary?’ You are the Mother of the little ones, the health of the sick, the star in storms…. Oh! Mary! If I am helpless, without courage, without consolation, I run to you and cry: Ave Maria! You are the comfort of slaves, the courage of little ones, the strength of the weak, Ave Maria! When I say your name, my whole heart is inflamed, Ave Maria! 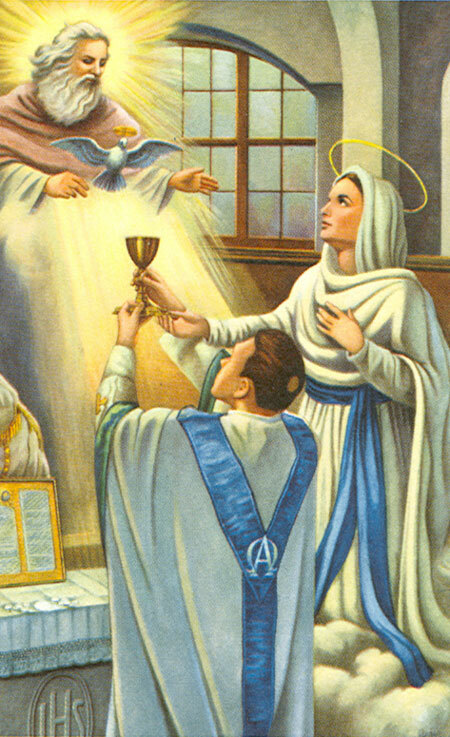 Joy of angels, food of souls, Ave Maria!” (cf. Bl. Edward Poppe). Presence of God – O Mary, humblest of all creatures, make me humble of heart. 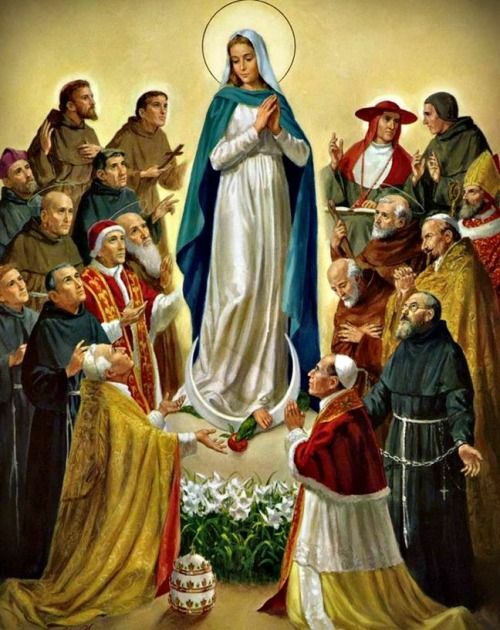 St. Bernard says: “It is not hard to be humble in a hidden life, but to remain so in the midst of honors is a truly rare and beautiful virtue.” The Blessed Virgin was certainly the woman whom God honored most highly, whom He raised above all other creatures; yet no creature was so humble and lowly as she. A holy rivalry seemed to exist between Mary and God; the higher God elevated her, the lowlier she became in her humility. The Angel called her “full of grace,” and Mary “was troubled” (Luke 1:28, 29). According to St. Alphonsus’ explanation, “Mary was troubled because she was filled with humility, disliked praise, and desired that God only be praised.” The Angel revealed to her the sublime mission which was to be entrusted to her by the Most High, and Mary declared herself “the handmaid of the Lord” (Luke 1:38). 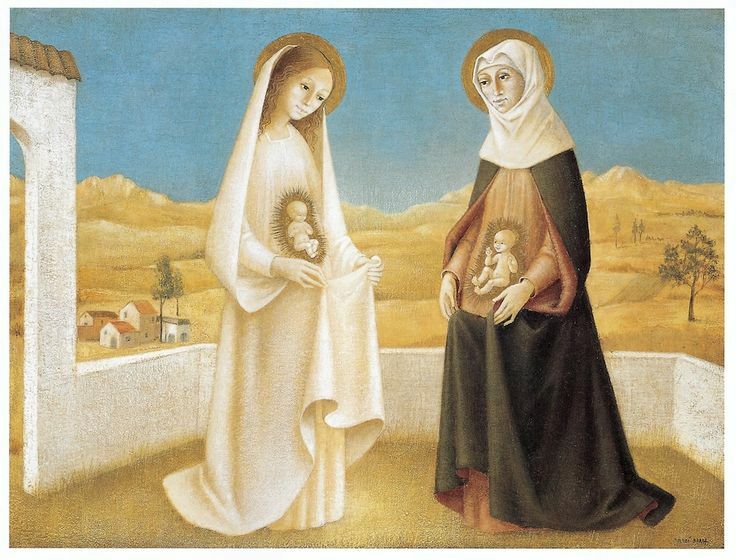 Her thoughts did not linger over the immense honor that would be hers as the woman chosen from all women to be the Mother of the Son of God; but, she contemplated in wonder the great mystery of a God who willed to become incarnate in the womb of a poor creature. If God wished to descend so far as to give Himself to her as a Son, to what depths should not His little handmaid abase herself? The more she understood the grandeur of the mystery, the immensity of the divine gift, the more she humbled herself, submerging herself in her nothingness. Her attitude was the same when Elizabeth greeted her, “Blessed art thou among women” (Luke 1:42). Those words did not astonish her, for she was already the Mother of God; yet she remained steadfast in her profound humility. She attributed everything to God whose mercies she sang, acknowledging the condescension with which He had “regarded the humility of His handmaid” (Luke 1:48). That God had performed great works in her she knew and acknowledged, but instead of boasting about them, she directed everything to His glory. With reason St. Bernardine exclaims: “As no other creature, after the Son of God, has been raised in dignity and grace equal to Mary, so neither has anyone descended so deep into the abyss of humility.” Behold the effect that graces and divine favors should produce in us: an increase of humility, a greater awareness of our nothingness. “O Virgin! glorious stem, to what sublime height do you raise your corolla? Straight to Him who is seated on the throne, to the God of Majesty. I do not wonder since you are so deeply rooted in humility. Hail, Mary, full of grace! You are truly full of grace, for you are pleasing to God, to the angels, and to men: to men, by your maternity; to the angels, by your virginity; to God, by your humility. It is by your humility that you attract the glance of God, of Him who regards the humble, but looks at the proud from afar. As Satan’s eyes are fixed on the proud, so God’s eyes are on the lowly” (St. Bernard). O Mother most humble, make me humble so that God will deign to turn His eyes toward me. There is nothing in my soul to attract Him, nothing sublime, nothing worthy of His complacency, nothing truly good or virtuous; whatever good there is, is so mixed with wretchedness, so weak and deficient that it is not even worthy to be called good. What, then, can attract Your grace to my poor soul, O Lord? “Where will you look, but on him who is poor and humble, and contrite of heart?” (cf. Isaiah 66,2). O Lord, grant that I may be humble; make me humble, through the merits of Your most humble Mother. Presence of God – O Mary, since you are really my Mother, make me your true and worthy child. “Oh blessed confidence, O sure refuge, you, the Mother of God, are my Mother! How can I fail to hope, since my salvation and my sanctity are in the hands of Jesus, my Brother, and Mary, my Mother?” (Cf. St. Anselm). “O Mary, Mary, bearer of the fire of love, and dispenser of mercy! Mary, co-redemptrix of the human race, when you clothed the Word with your flesh, the world was redeemed. Christ paid its ransom with His Passion, and you paid it with the sorrows of your body and soul.” (St. Catherine of Siena). “O Mary, you are that garden enclosed, which contains the Giver of Life; God Himself is within you, with heaven and all creatures. The whole world is saved by the Blood received from you. Without you, O Mary, there would be no paradise for me; without you, there would be no God for me …. “O Mary, how countless are the gifts and graces which you wish to bestow on creatures! And who would not want to receive them? It is perseverance in desiring them which is lacking; you, most loving Mother, do not offer gifts to your children when you see that they would not appreciate them and would throw them away; for you know that the guilt thus incurred would have to be punished later. O Mary, you want to grant me your gifts, but I deprive myself of them, because I want to mingle my gifts with yours. I should like to have your graces, but I want my own will at the same time, and so I cannot have them. I should like to have your good will, but also the love and kindness of creatures. I cannot have both. I want your love and my self-love, but this combination is impossible. I want to live under your mantle, but also under the mantle of my own comfort. Yet, it is not fitting to be delicate members of a thorn-crowned head; neither is it fitting for your children to seek their comfort under your mantle, O sweet Mother, when you had so little regard for your own comfort. “O Mary, what can I offer and give you that will please you? If I offer you my will, I fear that you will not accept it, because it is not conformed to God’s will. If I offer you my intellect, it is not enlightened; if I give you my affection, it is not pure. I offer you the Heart of your only Son! and a greater gift I cannot offer.” (St. Mary Magdalen dei Pazzi).